Everyone has different thoughts about different things – that's what keeps it entertaining! 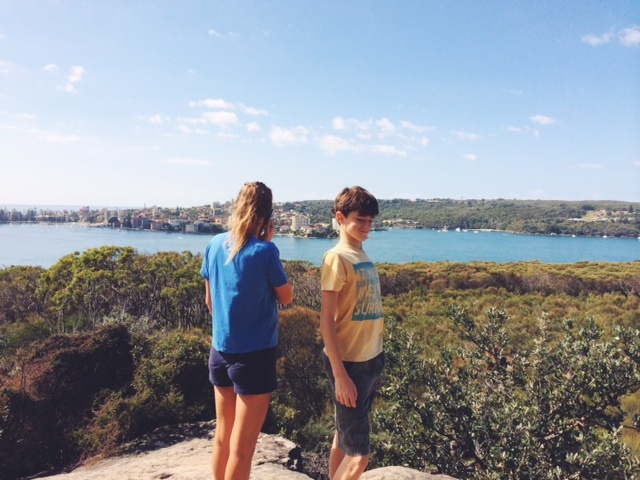 Sydneysiders need to do the Spit to Manly Walk! It has been a while since I’ve posted something on my blog. I apologise. I cannot say I have been so busy that I have not had one single opportunity to write. Saying that would be a lie. I have had a few moments here and there where I wanted to post something but for some strange reason I was finding it difficult to. Why? Because somehow, I could not seem to get the ball rolling and write away when I was starting a new blank document. I kept on doubting myself, feeling silly about what I was writing. I think that it may have had something to do with a commercial law assignment which I have been working on. As much as I enjoy studying law (as I love the way if frames my mind/thinking), I do find that it tends to hinder my creative flair (and because I am not naturally very creative, it can become an issue). However, I recently fell upon a beautiful little post about the concept of ‘creativity’ by Hatrik – click here for the link. This post simply made me smile. It reminded me that every one has a sense of creativity delved into their souls no matter what form it may come in. Whether it be a musical talent, special skills with colours on a canvas, a good ear for lyrics, an attachment to literature, or simply a strong imagination (and the list could go on). So, instead of doubting myself as to the quality of what I wanted to write about, I just let my mind take me wherever it wanted to take me… which has lead me to writing this post. 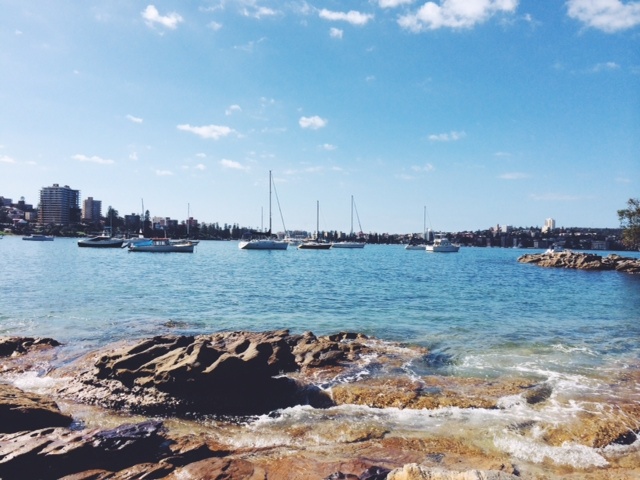 Let me get back on track with the topic of this post: The Spit to Manly walk. Growing up on the outskirts of Paris, I never really got a chance to go for long walks by the ocean on my weekends. Now that I have moved to Australia, the sea has become almost a drug for me! 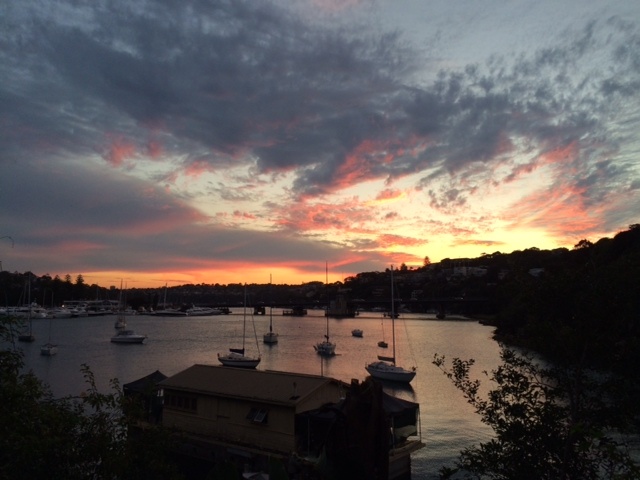 When I travel, I realise that not every city is as gifted as Sydney. Not every place on this planet allows you to get a breath of fresh air whenever you feel like it by simply walking along the beach. It is definitely something Sydney Siders should treasure because we are so lucky to have this opportunity. 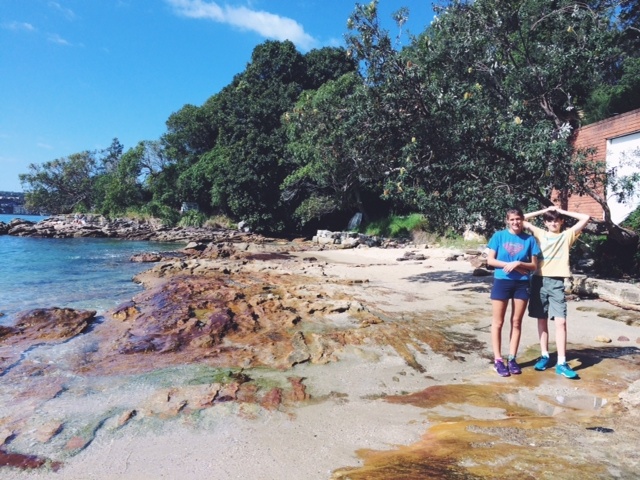 The Spit to Manly is a particularly beautiful and entertaining walk. With a distance of 10km one way, waking down the path will allow you to observe beautiful surroundings and you might find that your mind starts to wonder. I recommend doing the walk with a friend, your dog, or your family (but doing it on your own can be very relaxing as well allowing to focus on yourself and maybe spend a bit more time looking around). I have done the walk many times but recently I did it with a really good friend of mine and we talked so much I did not even feel that I was walking for such a long time. I also regularly run part of the walk with my dog (Kenzo). He loves it! There are some areas of the walk where I feel like it is just him and I and he often gets a chance to run in the sand and splash around in the water. Recently, Kenzo and I showed my siblings and my dad our little treasure and we did the full walk altogether. It was a great opportunity to talk and catch up with each other. CAMERA! I guarantee you that you will stop (more than once) to capture the beautiful scenery you will be passing. The sunrise and sunset are particularly breathtaking. Water bottle (if doing the walk on a warm day you will be thankful to have packed water – the walk can get a bit tough as there are many stairs in some parts of it. Note that there are also water stations along the way to fill up your bottle). Picnic (there are a few areas that are very nice to stop at for a picnic, most notably Clontarf Beach, North Harbour Reserve and Esplanade Park). Swimmers, goggles and a beach towel (the walk literally follows the coastline and there are plenty of different spots to go for a dip in the sea. Such a great way to refresh yourself and, if you’re lucky, you may spot beautiful fishes underwater! Don’t rush it. Take a moment to observe the nature around you – it is beautiful. Start from the Spit Bridge and walk towards Manly as once you will be in Manly there are many different places to go for brunch/lunch to reward yourself after a long walk. There are also many buses departing from Manly, which can bring you back to wherever you need to go. camillemaciejowski on Fancy a Fika? Anna on Fancy a Fika? Roger on Downtown Kettle Town!